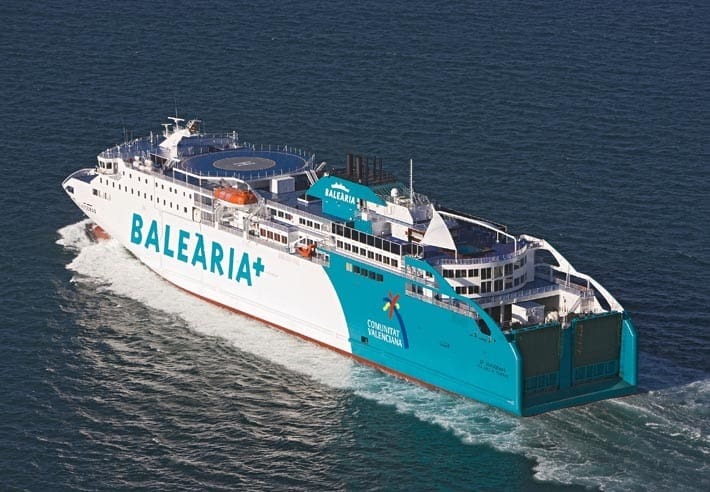 Broward County’s Port Everglades expects to see a 65 percent increase in daily passengers as Spain-based ferry company Balearia Ferry Express replaces its 460-passenger vessel with the 1,000-passenger Bahama Mama, which began service to Grand Bahama Island this week. “Balearia’s new ferry will further enhance the opportunities for our Bahamian neighbors and U.S. tourists to travel between the Bahamas and Florida through Port Everglades,” said Broward County Commissioner Dale Holness during an inaugural celebration at the Port. Balearia’s ferry service at Port Everglades grew approximately 34 percent from 90,909 passengers in Fiscal Year 2013 to 121,321 passengers in Fiscal Year 2014. Port officials expect the ferry company’s success to continue at an even faster pace with the new Bahama Mama, which carries more passengers and larger amounts of cargo, containers and vehicles. Bahama Mama, formerly named Alhucemas, is expected to make 300 voyages to Grand Bahama Island and carry more than 200,000 passengers annually. Located in the second largest county in Florida, Broward County’s Port Everglades is consistently ranked as one of the three busiest cruise ports in the world with more than 4 million passengers 2014. Eight cruise lines, one ferry and more than 40 cruise ships sail from the South Florida seaport including: Balearia’s Bahamas Express, Carnival Cruise Lines, Celebrity Cruises, Cunard Line, Holland America Line, Princess Cruises, Royal Caribbean International, Seabourn and Silversea Cruises. The Port’s wide-ranging fleet of cruise ships provides guests with an array of cruise vacation choices from the sunny Greater Fort Lauderdale, Hollywood and Dania Beach area. View details on the latest cruise offerings at porteverglades.net or contact us by emailing PortEverglades@broward.org.